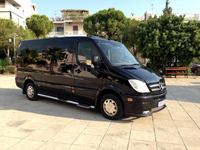 Our company NICK LIMOBUS GREECE was founded in 1997. 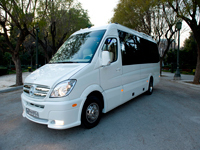 We specialise in tourism and more specifically in reservations, organisation of seminars and tourist trips with cutting-edge transportation vehicles equipped with the latest Mercedes-type technology. Our company mainly focuses in specific categories of visitors service, and especially to visitors who value the time of their holidays. We provide quality, family-like and friendly environment as well as full coverage in terms of storage and personal security V.I.P. visitors. We offer the best Athens private tour services. MiniVan Limo for 8 seaters. 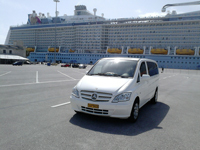 MiniBus for 12 & 22 seaters. 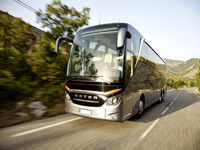 Bus for 54 seaters & LongBus for 64 seaters. Sailing Catamarans with 6 & 8 cabins for 12 & 16 passengers. Motor Yachts from 2 cabins To 6 cabins. Daily visits or short trips with the same transportation vehicles at the various attractions in Attica such as: Acropolis, Temple of Poseidon at Cape Sounion, Hymettus Cave, Olympic Stadium, Thissio, Ancient Theatre of Herodes Atticus, Plaka, Monastiraki and outside of Attica as: Ancient Corinth , Epidaurus, Mycenae, Nafplion, Delphi, Meteora, Olympia. Short trips with the same means of transport to the various attractions of Northern Greece, like Vergina, Chalkidiki, Mount Athos. A visit to the beautiful islands of Greece, with usual way of the ferries , but also with the vehicles offered by our company, such as: sailing yacht boats equipped with 4 cabins (8 people) accompanied by a skipper or not. Motor boats (boats Cruiser) with two cabins (4 people). Catamaran, helicopters or Lear Jets.